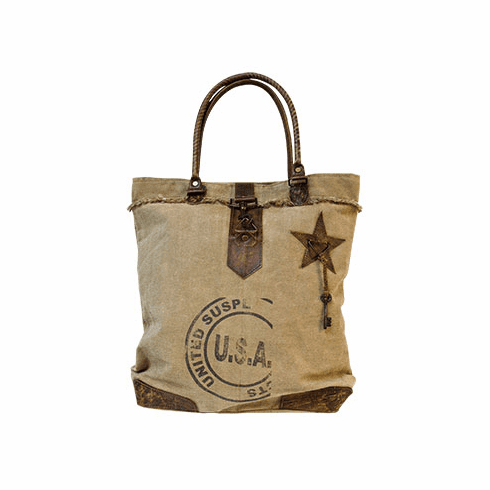 Waste not is the concept behind this recycled and up-cycled canvas bag. The fully lined bag has tons of room for your daily essentials plus more while the dual leather straps offer carrying ease. Lined with blue & cream cotton ticking stripe fabric, there is one small inner pocket. Because it is made from recycled materials each bag will be unique. This handbag is 16-1/2 high by 16-1/2 wide and 4 deep.